MANILA - The legal division of the Bureau of Immigration is recommending the deportation of a Chinese student who threw soybean curd drink (taho) at a police officer, the agency said Tuesday. 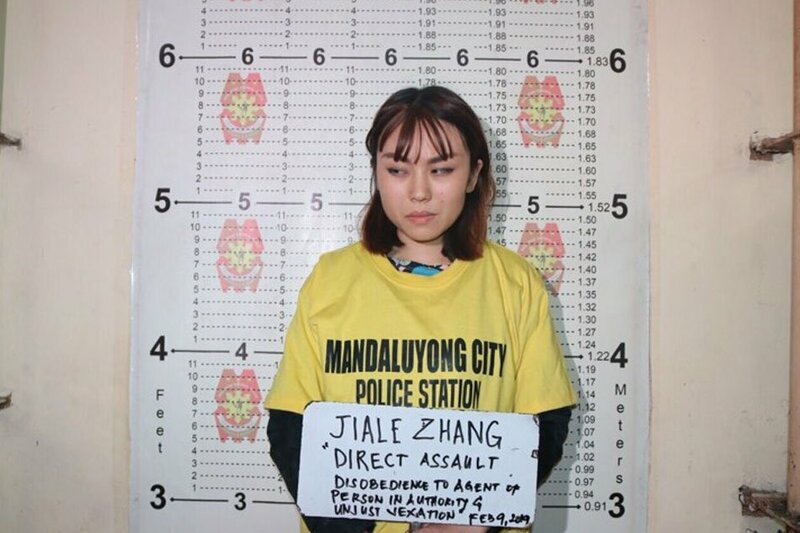 Jiale Zhang, 23, reportedly splashed the policeman with taho last week after she was barred from entering an MRT-3 station due to the railway's no-liquid policy. PO1 William Cristobal, to whom the drink was thrown, has filed complaints for direct assault, disobedience to an agent of a person in authority and unjust vexation at the Mandaluyong City Prosecutor’s Office. The legal division of the BI saw that there was probable cause to file a deportation case against Zhang for posing a risk to public interest in violation of immigration laws, said Spokesperson Dana Sandoval. "The BI can file a case motu proprio, especially since there are photos showing what happened, " she said. Commissioner Jaime Morente described the incident as "an utter display of disobedience and arrogance against a person of authority," adding that the BI "will not tolerate such acts, as this shows disrespect to the country." Zhang reportedly last arrived in Manila on October last year with a Special Resident Retiree's Visa. She will automatically be placed in the Bureau’s watchlist upon approval of the deportation charge, said Sandoval.